CAPE CORAL, Fla. -- In a bit of an ironic turn of events, wildlife officials removed a dead manatee from the water in Cape Coral just outside the building where government officials were answering questions from the public about polluted water being released from Lake Okeechobee. That public meeting was taking place Tuesday afternoon with a representative of the U.S. Army Corps of Engineers and local officials before a full house at the yacht club. Meanwhile, the overflow crowd outside the event were drawn to the nearby boat ramp, where several manatees were seen in the water. 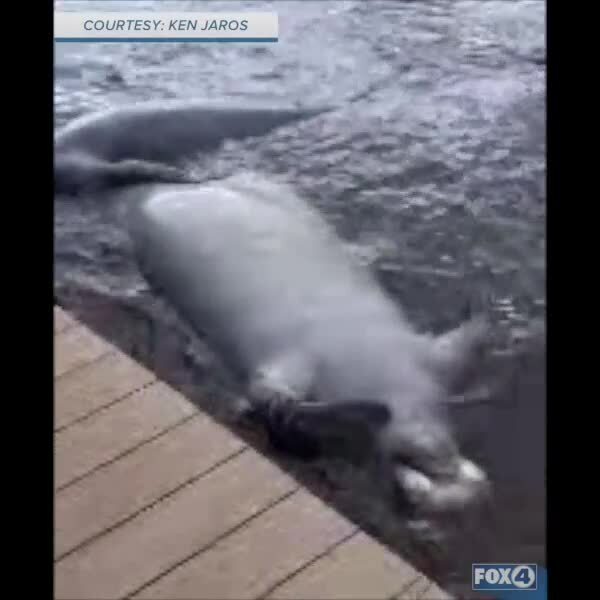 At least one manatee was floating upside down, and at least two more appeared to still be alive in the water next to it. Several locals took to Facebook to document the scene . We'll update if we learn more about the fate of the animals.